HARRIS COUNTY – The election results from the March 1 election are being contested by one of the candidates for Constable, Jasen Rabalais. Through his attorney Michael Stafford, Rabalais filed a civil cause on March 10th with the 164th District court. The defendents are the two candidates that received more votes in the election than Rabalais, Sherman Eagleton and Michel Pappillion. There were nine candidates on the Democratic ballot, and they received the following vote tallies: Sherman Eagleton 3,687; Michel Pappillion 2,862; Jasen Rabalais 2,825; James Stewart 2,473; Isaac Villarreal 1,865; Eric Reed 1,649; David “Bubba” Jones 1,402; Ken Melancon 1,001; and William Norwood 790. The defendents, when contacted by the Star-Courier, did not have an immediate statement on the suit. With only 37 votes separating Rabalais from Pappillion, it is possible that a ruling on the validity of absentee or mail ballots could result in the run-off election between Eagleton and Rabalais, instead of Pappillion. It is understood that this is the basis for Rabalais filing the court action. 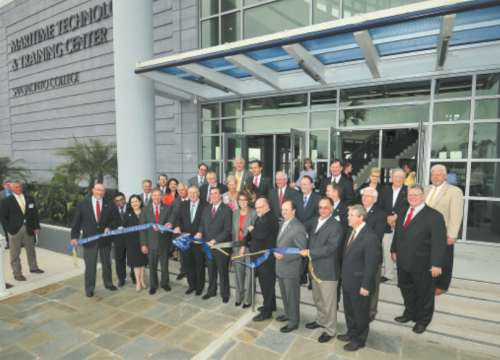 PASADENA, Texas – With the cut of a ribbon and ring of a bell, San Jacinto College marked the grand opening of the new Maritime Technology and Training Center on the Maritime Campus on March 8, 2016. The Center is located next to a turning basin along the Port of Houston at 3700 Old Highway 146 in La Porte, Texas – the ideal location for students training to enter the maritime industry, and for current mariners upgrading their U.S. Coast Guard certifications. The grand opening featured remarks from The Honorable Gene Green, U.S. Representative for Texas’ 29th Congressional District; The Honorable Brian Babin, U.S. Representative for Texas’ 36th Congressional District; The Honorable Larry Taylor, State Senator, Texas Senate District 11; and The Honorable Dennis Paul, State Representative, Texas House District 129. Mr. Jay Guerrero, Regional Director for Southeast Texas, representing The Honorable John Cornyn, U.S. Senator, presented a congratulatory certificate to the College. In addition, a flag raising ceremony was held, with a U.S. flag that was flown over the U.S. Capitol on the first day of classes held at the Center. The flag was donated by Congressman Babin. The event culminated with a christening ceremony, ribbon cutting, and the ringing of the bell, opening the doors to the Center for tours. LyondellBasell Houston Refinery Site Manager Jerome Mauvigney addresses students at North Shore Senior High School. 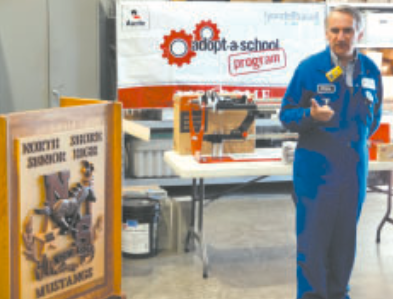 PASADENA, Texas – March 2, 2016 – LyondellBasell, one of the world’s largest plastics, chemical and refining companies, is continuing its partnership with Austin Industrial on their Adopt-a-School program. In its ninth year, the two companies will offer employment to nine high school students from Galena Park ISD and Pasadena ISD to help them learn valuable trade skills. “Our vision is to be the best operated company in the industry and that requires having a pool of highly-skilled and trained workers now and in the future,” said Houston Refinery Site Manager Jerome Mauvigney. “The Adopt-a-School program provides students the opportunity to experience working alongside the top operations experts in the field. We teach them more than about the equipment and tools. 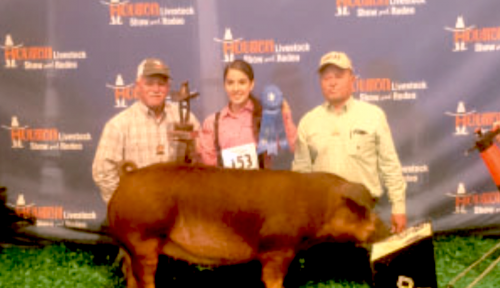 They learn our safety culture, teamwork, communication and striving for excellence. Armed with real-world experiences in the classroom and on-site, students have a stronger advantage in gaining full-time employment upon graduation. LyondellBasell works with Austin Industrial, a contractor company on-site, to hire the students to work inside the facility. VIEW OF NEW ACADEMIC BUILDING ON HOMESTEAD ROAD. The purpose of the meeting was to report back to the North Forest community, on current plans for the Houston Community College to proceed with construction of three new buildings and a new campus, at the site on Little York at Homestead Road. The meeting opened with a moment of silence marking the passing of longtime North Forest Trustee Lois Edwards. The proposal will go before voters on May 7. Sheldon ISD is considered a fast-growth district. According to a June 2014 demographic study, district enrollment was projected to be at nearly 8,300 by 2015. 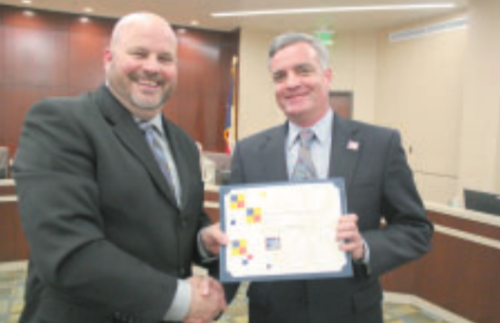 The district exceeded that projection with an enrollment of more than 8,500 by December 2015. This year alone, the district saw a 7% growth rate. 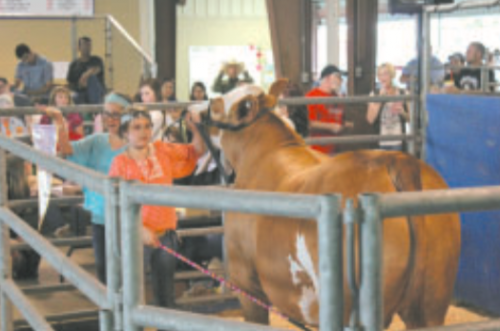 At this rate, Sheldon ISD can expect to have a student enrollment of more than 11,000 by 2023. LyondellBasell presents a sponsorship check supporting the North Shore Rotary’s 41st annual Fish Fry and Raffle fundraising event, benefitting various community projects. 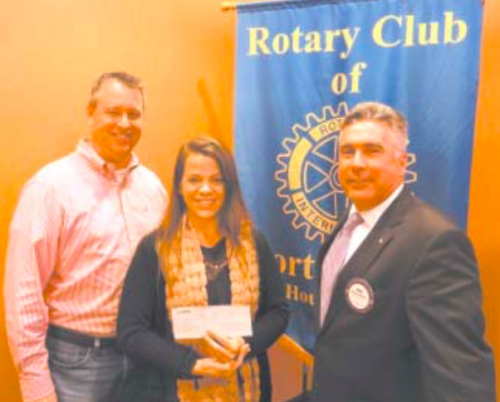 Left to Right: LyondellBasell Reliability Manager and North Shore Rotary member, Christopher Ryan; North Shore Rotary President-elect, Kimberly Gonzalez; North Shore Rotary President, Mike Williams.